Sorry to say, no video for you this week. But I did get these two amazing books that I’ll be diving into this weekend (even though I work). That’s right! 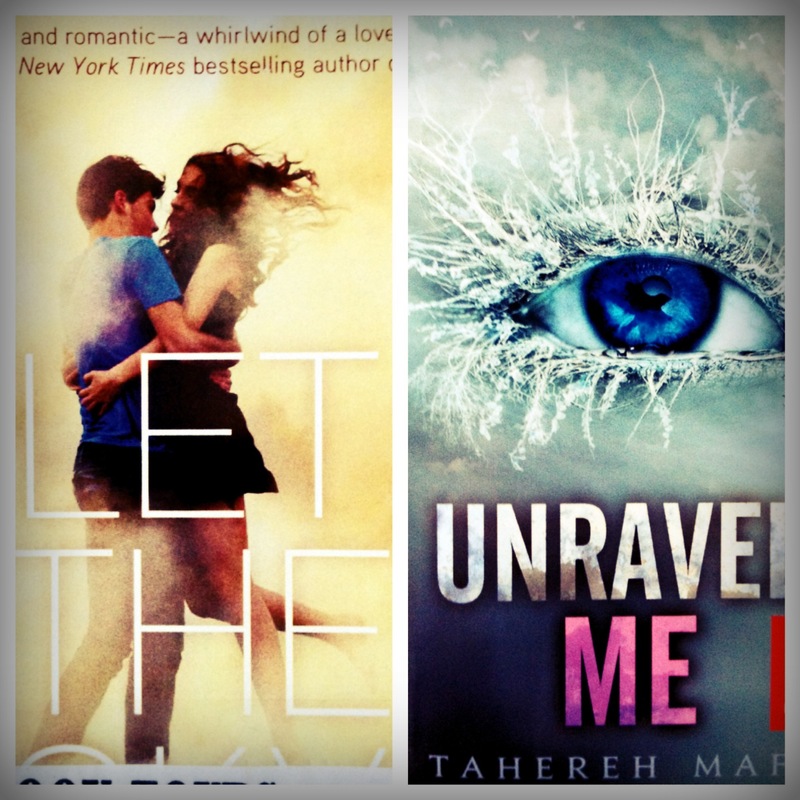 You see the wonderful beautiful copy of Unravel Me by Tahereh Mafi! *SQUEE* I can’t wait to see what happens next in that particular series. More Adam! Need. More. Adam. And did you see the puurty copy of Let The Sky Fall by Shannon Messenger? I’m in love! I’ve been itching to read this book from the moment I heard about it. So far, I’m in awe. Loving the dual points of view (you know I’m a huge fan) and the story! Will be posting a review for sure! SO jealous that you got Unravel Me. Great haul. They look so pretty the covers. AMAZING books! I LOVED Unravel Me! And I'm dying for Let The Sky Fall! Haven't read Shatter Me, but it's on my list. Hope you enjoy the second one. THanks for visiting! I loved Unravel Me! Hope you do too! *squeeing* right along w/u! Good for u!! Unravel Me is an highly anticipated one, and I can't wait to read it, myself. I'm super excited about both of your books this week. Loved Shatter Me so I can't wait for the sequel and that cover for Let the Sky Fall is just awesome! I better get moving and read Shatter Me! I haven't heard of the other one (Let the Sky Fall).